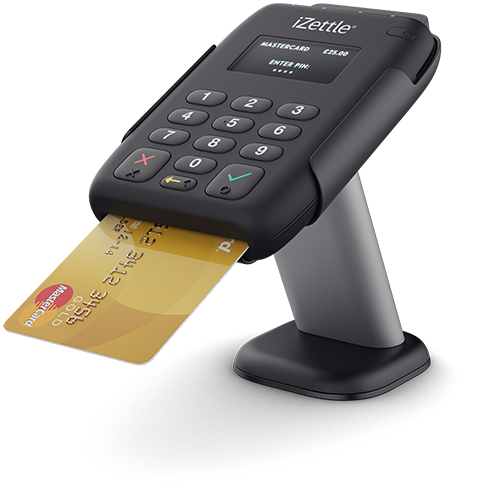 iZettle is the fastest growing payment processing company in Europe. There are no monthly fees and it is compatible with all major debit and credit cards. With its mobility, you can easily process chip & pin payments in-store and on-the-go. iZettle’s seamless integration with Hike POS helps you put through transactions faster, serve customers better and eliminate chances for error. Simply ring up sale, click pay and amount payable is instantly sent to your iZettle reader. Getting started with iZettle and Hike is easy. You just need to register online so it only takes a few minutes to get started and there are no lock-in contracts. so you don’t have to manually input amounts. Less user interaction means lesser chances of errors. Add items, click pay and the amount is displayed on iZettle reader. Now simply process cards. When you close register, your shift report will include break down of total receipts in cash and EFT payments. Sell from anywhere using PC, Mac or iPad. Hike works on any device and it works from anywhere, online and offline. Sell online with Hike’s built-in eCommerce or simply integrate your existing BigCommerce, Shopify or WooCommerce store. Accept cash, credit card, gift cards and loyalty points and even sell ‘on account’. Hike integrates with renowned in-store payment providers. Whether you’re using Hike on a PC, Mac or iPad, Hike has you covered with industry leading POS hardware compatibility. With clients in over 65 countries, Hike support team is available to assist 24/7 in every time zone. We’re just a click away.